Jennie Steele Robinson died at Gilbert Mercy Hospital in Arizona on January 31, 2017 at age 101. She was born January 4, 1916 in Willow Springs Missouri to Herbert L. and Lola Wilson. She was the oldest of 3 siblings. Brothers Harry Wilson and Don Wilson preceded her in death. The Wilsons moved to Garland Wyoming and then to Powell Wyoming when she was a young child. 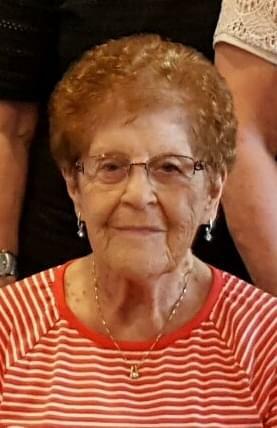 She graduated from Powell High School in 1934. She married Bud Steele June 22, 1936 in Billings Montana. Bonnie Lorraine Steele was born December 17, 1941. Bud and Jennie were married for 54 years. Jennie worked 25 years as a teller at 1st National in Powell and later she and Bud managed Cactus Garden Court. Several years later Jennie married Woodrow Robinson formerly of Powell who proceeded her in death. Survivors include her daughter Bonnie Reno Sauve and her husband Gary Sauve. She has 3 grandchildren Troy Dean Reno (Claudette) Lisa LaRee Soderberg (Dan) and Travis Steele Reno (Lara). She has 5 great grandchildren Brenden Reno (Kelly) Chantalle Ellis (Jim) Trevor Reno Jake Soderberg and Zoe Soderberg. She has one great great grandchild Ariella Rose Reno. Jennie is also survived by Woody’s two daughters Anne Messenger (Gary) and Sonja Guard (Bob). A celebration of life will be held this summer in Bismarck ND. Offer Condolence for the family of Robinson, Jennie S.